Concession Trailers :: CUSTOM MADE FOR YOU! When it comes to concession trailers, each one is as unique as the food you will be serving. Since there is no template for what a concession trailer will need to do, we make them unique to your usage. 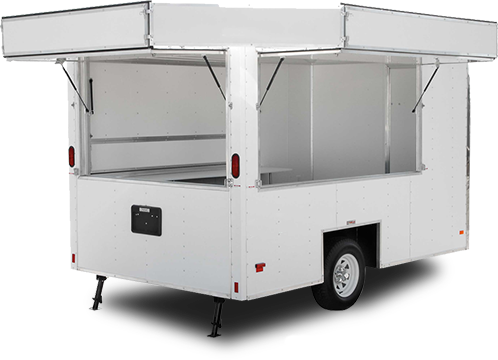 We start with either a stock trailer from one of our manufacturers or with a preexisting model you have.